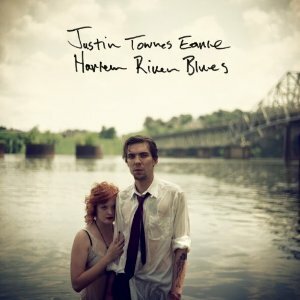 With his fourth album, Harlem River Blues, Justin Townes Earle has undeniably stepped out of his father’s shadow and into his own place at the table. Justin’s songwriting and singing has continued to develop with new colors and shades popping up from an already overflowing palette. Recently relocating from Nashville to New York City, Justin has kept all of his twang and southern charm, while adding a bit of soul and nuance to the mix. Everything Justin does well is present on Harlem River Blues and there are enough new ingredients to keep things interesting and surprising. Not that Justin ever really lets you get bored or comfortable anyways. From the organ strains and gospel choir backing of album opener “Harlem River Blues,” Justin wastes no time letting you know that he’s got some new tricks up his sleeve. The uplifting track has a great upright bass groove and it sounds like the best church music you could hope to find. “One More Night In Brooklyn” brings together the Nashville/New York connection perfectly and has that folky, jazzy vibe that feels like some of Richard Julian’s best work. Fans of Justin’s previous albums will love the country shuffle of “Move Over Mama,” “Wanderin’” and “Learning To Cry,” the bluesy “Slippin’ and Slidin’” and Ain’t Waitin’” and the slow burn of “Rogers Park.” He scores personal points with me by hitting on my love of train songs with the brushed snare chug of “Working For The MTA” as well. Throughout the album, Justin’s trusty acoustic is backed by Bryn Davies on upright bass, Skylar Wilson on organ and Bryan Owings on drums. He also has some great guest appearances by Ketch Secor (Old Crow Medicine Show), Jason Isbell (Drive-By Truckers), Paul Niehaus (Calexico) and Jeff Coffin (Bela Fleck, Dave Matthews Band). Whether you find yourself on a sunset rooftop in Manhattan or on a back porch in Tennessee, this album could fit either location perfectly, while sort of making you think about the other one.